Teaching is a calling. Congratulations on making a decision to listen to that calling. You will have the power to enlighten young minds for the future. The following are the steps to becoming a teacher in Massachusetts. When deciding what you want to teach, think about the subject you most love and the age group in which you are most comfortable. If you are unsure about the age group, consider visiting classrooms of people you know, just to understand what that age is like on the daily basis. If there is a specific subject you want to teach, you may want to consider teaching middle school or high school. Just be honest with yourself about what you enjoy in order to make the best decision that works for you. You can also visit the Massachusetts Department of Education website to help you decide. On the website you will find information on educators and schools in the state. As is typical with every state, Massachusetts requires the completion of a teacher preparation program as well as a Bachelor's Degree from an accredited university or college. Choosing your major is much like deciding what you want to teach. This allows you to take age or subject specific classes from the start of your program. If you are unsure about what would best fit your personality, visit a guidance counselor or school advisor for advice. Most accredited higher educational institutions will offer blended or joint programs. This simply means that while completing the required coursework for a Bachelor's Degree, you are also working toward a teaching license. You will have to complete the required coursework, fieldwork hours, and necessary tests with passing scores. Public school teachers are required to hold a teaching license in the state in which they wish to work. The degree does not necessarily have to come from that state, but a license transfer and extra testing may be required if it does not. When choosing a program, make sure the college or university is accredited by CAEP, formerly NCATE and TEAC. Teacher education programs are most often completed by meeting curricula requirements along with fieldwork requirements. The basic curriculum will include classes on pedagogy, teaching methods, differentiated instruction, and more. The fieldwork aspect is often completed as part of the required units and will include observations, student teaching, reflective writing, lesson planning, and sometimes even interning. In order to gain alternative certification in Massachusetts, you may apply for a preliminary license that is valid for five years while completing an educator preparation program. This licensure can be extended once during the five year time frame with an additional five years. This requires a Bachelor's Degree, passing test scores, and in some cases, additional coursework for a specialty area. You may also apply for a temporary license if you are moving from out of state with a valid license and qualifications. If you are certified to teach in another state, you may be eligible for a teaching certificate in Massachusetts. Massachusetts offers teachers from out-of-state an opportunity to get started teaching right away with a Temporary Teacher's License. The teacher must have taught for at least 3 years of professionally in order to qualify for a valid teaching credential in Massachusetts. The applicant must also have met the terms of the NASDTEC Interstate Agreement. 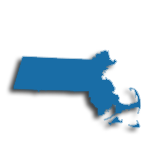 There are a number of choices for licensure in Massachusetts. The preliminary license requires a Bachelor's Degree, passing MTEL scores, and is valid for five years. The temporary license is valid for a single year and is used for those who previous taught out of state. The Massachusetts Department of Education does not require background checks and/or fingerprint clearance for educator licensure. However, do keep in mind that individual hiring schools may require candidates to complete and pass a background clearance. You have made it to the finish line in your education program, now it is time to begin your career as a teacher in Massachusetts! The table below lists the number of public school teachers in Massachusetts by grade level during the 2012-2013 school year. There are more than 710 private schools with an estimated 12,400 private school teachers in Massachusetts. The table below details the number of teachers by grade level during the 2011-2012 school year. Once you have been teaching in your own classroom for three years, you will need to clear your preliminary credential. You may apply for a professional license, which is valid for 5 calendar years and requires 3 years of employment under the initial license. This process requires the completion of a teacher induction program and one of the options required for professional licensure. Educators are professionally mandated to deepen their professional knowledge and skill set while sharing best practices with colleagues. To do this, teachers use a combination of collaborative learning and leadership opportunities. These opportunities are created through a number of venues and events, including online offerings, conferences, and in-services. Teachers engage in ongoing professional development for a variety of reasons: to improve student achievement and to further their career goals. The Department of Education in Massachusetts helps teachers improve their practice through the High Quality Professional Development (HQPD) initiative. Teachers are encouraged to review the HQPD and contact the state department of education through appropriate channels in order to ensure that their professional development goals are aligned with those of the state. In addition to serving as a path to more and varied professional opportunities and a larger paycheck, a master's degree is a smart way to satisfy the professional development requirements for your Professional License. Your Initial Educator License is valid for the first five years of employment and can only be extended once for an additional five years. Work toward your master's degree and you'll be able to satisfy the PDP requirements needed to renew your Professional License for one licensure cycle. While one college credit equals 15 PDPs, one semester of a graduate-level course equals 22.5 PDPs, so you'll be able to meet PDP requirements after completing just seven courses toward a master's degree. A master's degree alongside your teaching license in Massachusetts may also mean a larger salary for you. For example, in 2016-17, teachers in the Boston Public Schools earned a minimum salary of $53,685; however, teachers with a master's degree earned more, at $57,379 - a difference of nearly $3,700. Similarly, educators in Everett School District No. 2 earned a minimum salary of $33,483 in 2017; however, master's-educated teachers earned more at $36,534.